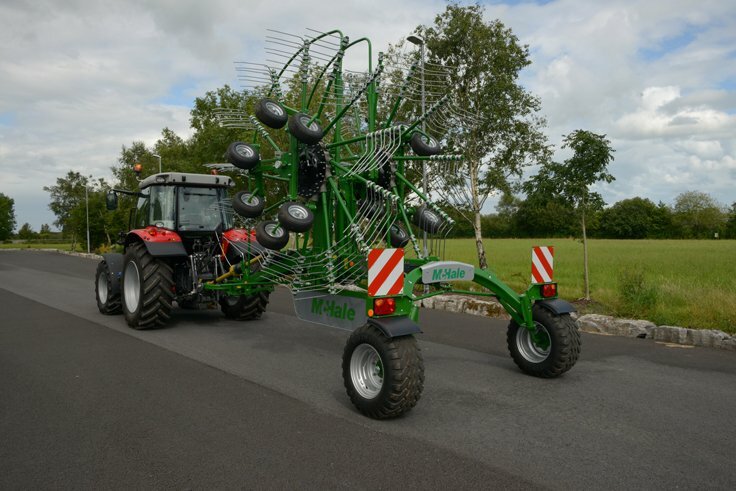 Building on their comprehensive range of grass machinery, McHale will introduce their R 62-72 centre delivery rake on stand number 331 at the National Ploughing Championships in Tullamore on the 19th of September. 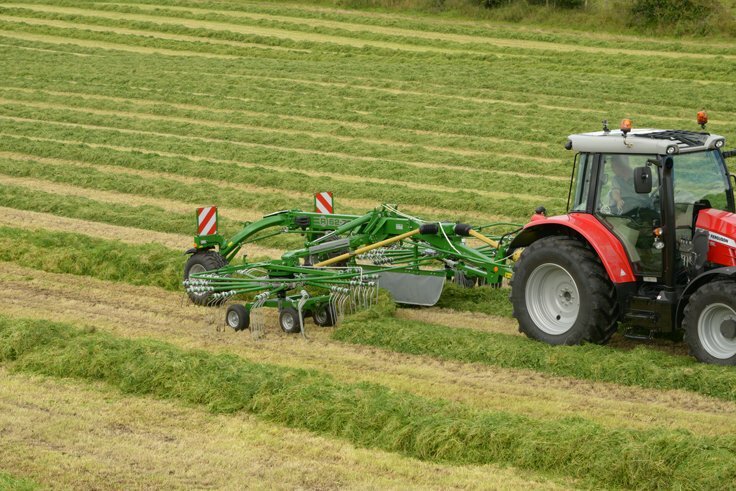 The McHale R 62-72 rake is an ideal machine for those who want to get the best fodder by delivering an aerated swath. 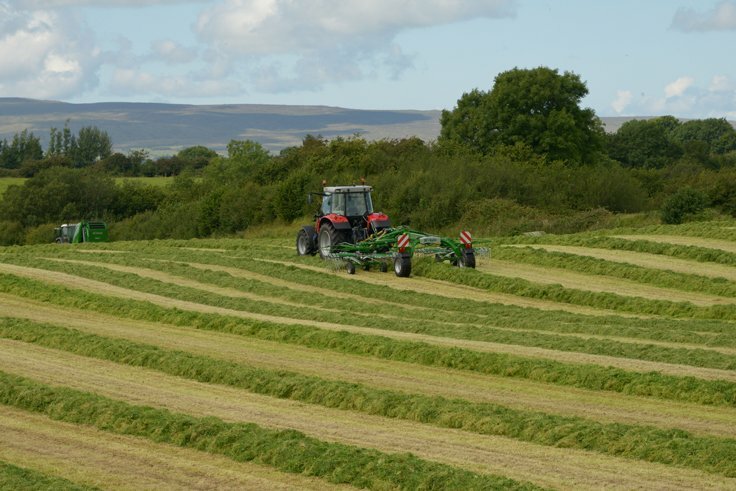 The rakes deliver an ideal swath for high output baling or harvesting. On the McHale R 62-72 rake the drive line flows through a wide angle gearbox to the individual rotors. Each rotor on the McHale centre delivery rake picks the crop only once and places it in a loose aerated swath. The McHale R 62-72 twin rotor centre delivery is equipped with a height adjustment indicator so tine height can be adjusted easily. The McHale R62-72 twin-rotor centre delivery rake offers a number of different working widths from 6.2 to 7.2 meters. 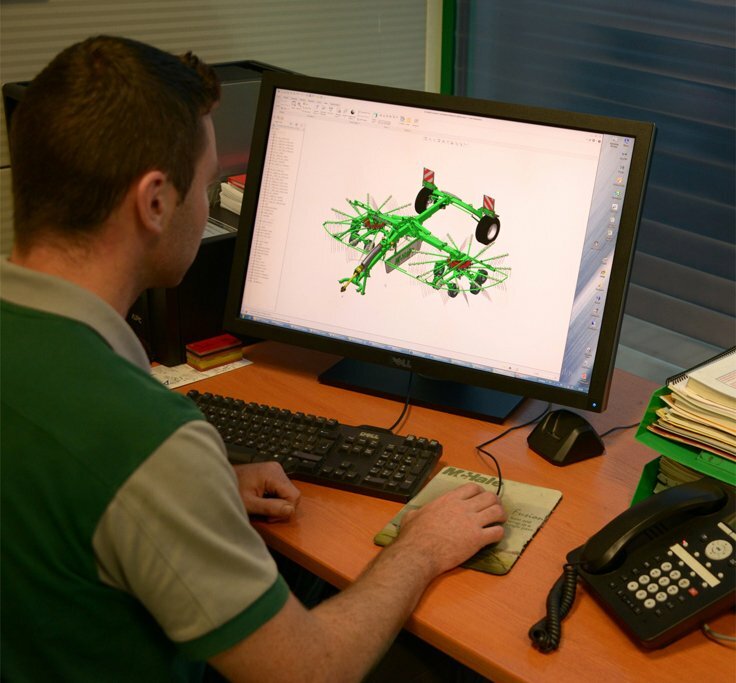 The variable working width is adjusted hydraulically by the telescoping arms from the tractor seat. 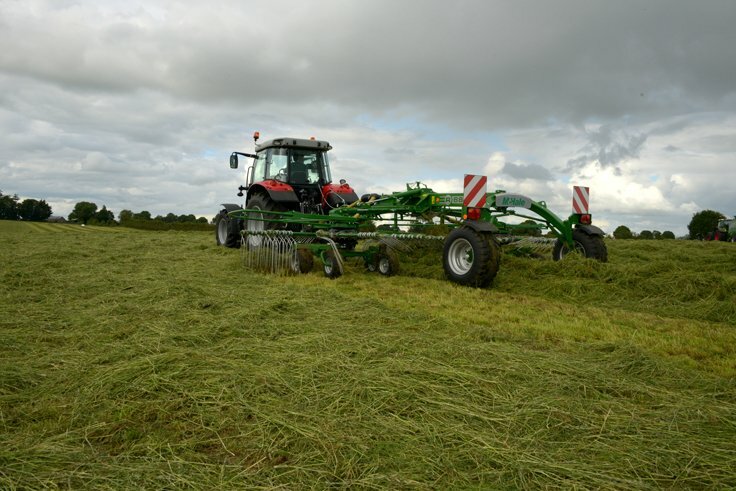 The R62-72 can be used to combine multiple mower rows or to row up grass which is left on the flat. The McHale R62-72 is equipped as standard with 380/55 -17 wide tyres which give excellent stability on the road while minimising compaction in the field. The transport running gear is approved for 40 km/h.